This new Audi A3 came to us looking for a Stage 1 flash but left with much, much more! We installed the Revo Technik Stage 1 Tune on his vehicle, and paired the tune with a Revo SPS which has a number of really cool functions. The SPS stands for Serial Port Switch and gives you the ability to switch easily between the different maps you may have set up. The SPS also allows you to set your vehicle in valet mode or anti theft mode! 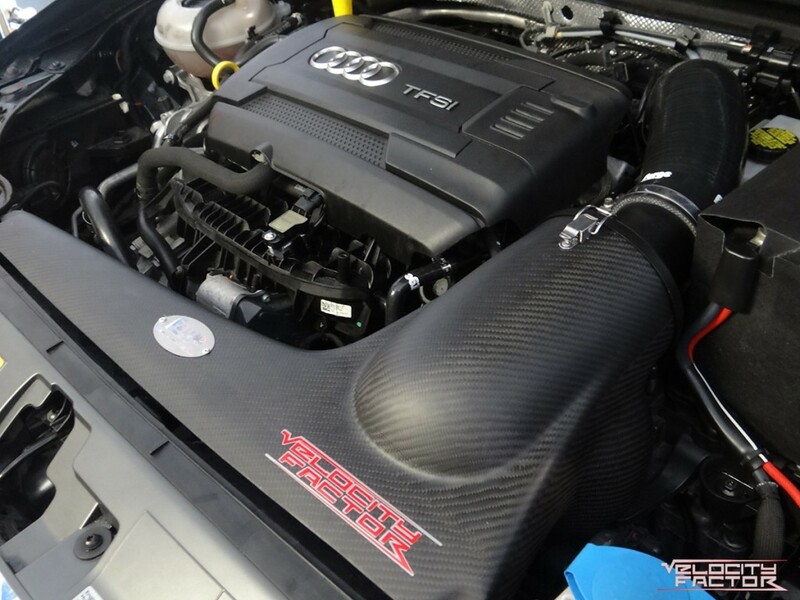 While we were flashing the vehicle with its new performance software we had our guys install a Forge Carbon Fiber Cold Air Intake. This is a beautiful intake bolts right up in place of the stock intake, and draws plenty of cool air while cruising down the road. 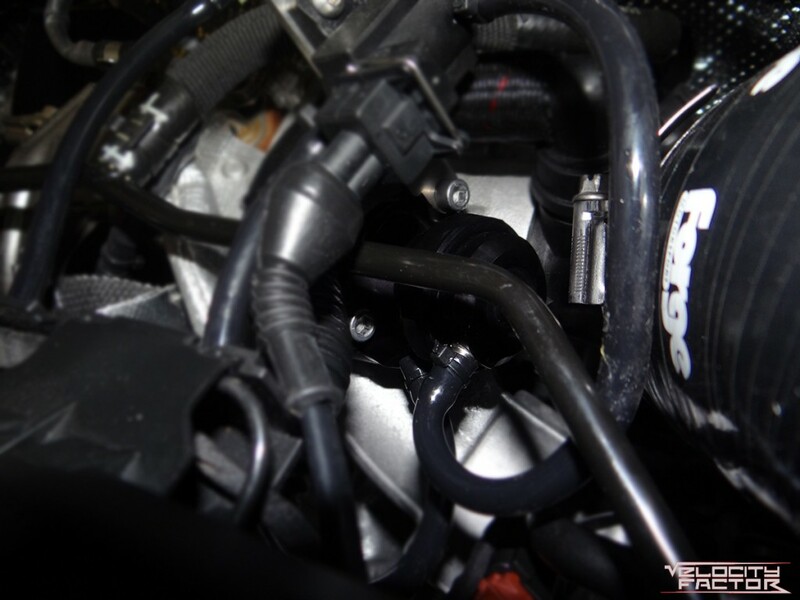 Not only does this intake provide your engine with plenty of necessary cool air, it is one of the nicest looking intake systems you will see! To go along with the intake system our customer also wanted a Forge Diverter Valve to be installed. These valves are an awesome addition to any build, producing a nice whistle noise when shifting gears. 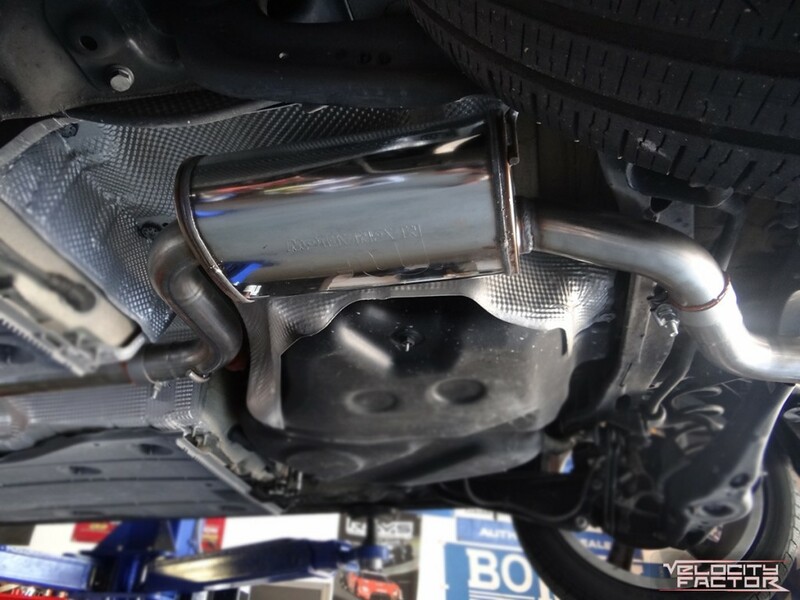 After we finished installing the tune, the intake system, and the diverter valve, we put the car in the air and replaced the stock exhaust system with a new Magnaflow Catback Exhaust System that produces a much nicer exhaust note. The system does away with the big muffler in the rear of the vehicle and replaces it with a much smaller sport muffler that sits more to the middle of the car. Check out some before and after photos below!